Links & Resources – I LOVE LOCAL! 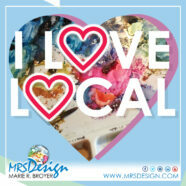 Welcome to the I LOVE LOCAL page of links and resources. Furthermore, it is vitally important to share places and information about local businesses and organizations. Below, you will find a variety of links and resources to local businesses, organizations, information, publications, favorite sites and some fun things to add to your knowledge bank. If you are a local business, artist, organization or publication and would like me to add a site link – contact me at marie.r.broyer@gmail.com! I am passionate about helping the local community and building a database for knowledge and education! Let’s build a local community TOGETHER! Hoosier Salon Watercolor Society of Indiana Arts Place, Inc.